Short on time? Click here to get How to Save Money on Pet Medications Cheat Sheet for FREE as a PDF download. If you are a dog owner, or more generally, a pet owner, you have come to the right place at exactly the right time. The very fact that you are a pet guardian means that at some point in your pet’s life, he or she will need a medication. From preventatives like flea, tick and heart worm medications, to antibiotics and pain medications, the list of possibilities is endless. The challenge specifically for those of us big dog parents is the increasing expense of these medications. I have discussed how expensive big dogs are to purchase (through a reputable breeder), feed (naturally), and provide medical care for in numerous articles. Among these are Top 7 Questions To Ask A Breeder When Buying A Puppy, The 7 Most Common Mastiff Myths Debunked, and Top 7 Reasons Why BIG Dog Ownership Is Not Right For Everyone. But with big dogs, comes higher doses, more pills, and as a result, higher medication costs. This is our reality. Why are Pet Medications So Expensive? There are several reasons for the increasing cost of pet medications. Keep in mind, this is not an all-inclusive list. And I share these as facts, not for the purposes of polarization when it comes to healthcare. Like with human medications, one of the reasons for the increase in costs is due to the sheer number of new and improved diagnostic and therapeutic treatments on the market. Research and development is not free. It comes with a cost. And depending on how novel the treatment and how long it was studied, the expense of that research needs to be made up for somewhere. Preventative care is another reason the amount of money spent on pet medications has increased. Flea, tick and heartworm preventatives make up more than half of all pet medication expenditures. If you obtain your pet medications from your veterinarian, expect a mark up between 100% – 160% plus a dispensing fee. And for some medicines the markups are even higher: 567 percent for the anti-inflammatory steroid prednisone, 800 percent for the pain reliever tramadol, and more than 1,000 percent for the antibiotic amoxicillin, according to a 2009 survey of vet pricing conducted by the market research firm LHK partners. Lastly, pet owners often unknowingly support the status quo because they are either unaware of their ability to get their pet medications elsewhere, or they prefer the convenience of getting them directly from their veterinarian. Believe it or not, Congress has actually gotten involved when it comes to pet owners being “unaware” of their ability to get a prescription for their pet medication. H.R.623 – Fairness to Pet Owners Act of 2017 seeks to “promote competition and help consumers save money by giving them the freedom to choose where they buy prescription pet medications, and for other purposes.” It has been introduced in the House, but to my knowledge, has not yet made it out of committee. If you feel strongly about this issue, reach out to your representative and let them know how you feel. In my research for this post, I came across an interesting FTC staff report from May 2015: Competition in the Pet Medications Industry Prescription Portability and Distribution Practices. While lengthy, this report discusses in depth competition, automatic prescription release laws, and exclusive distribution of certain pet medications. It is well worth the time if you are interested in reading about this topic further. The catalyst for this post actually arose out of my experience with Junior. After having two separate bouts of chin acne gone bad and now a lump on his shoulder, I have had three separate opportunities to put into practice the tips I am about to share with you. Despite all of my best efforts to keep his wrinkly chin dry and clean, Junior suffered for about six months last year with chin acne. On two separate occasions he was prescribed Cephalexin, a cephalosporin antibiotic commonly used for surface bacterial infections like chin acne. More recently, I found a lump on Junior’s shoulder which has been causing him pain. At this point, all signs point to this lump being caused by some vaccines he was given several months ago. My vet theorizes this lump started as a reaction to a vaccine but has turned into an abscess. She recommended we try Clindamycin, an antibiotic reserved for serious infections like an abscess before we go in and remove the lump surgically. For this particular issue he was prescribed Rimadyl, for his pain, and the Clindamycin. Who would have thought pre-pubescent dog acne and a lump would change my life the way they have? **Update: As further evidence of the disparity in the price of pet medications, Junior was recently diagnosed with Valley Fever, a fungal infection endemic to the Arizona area. The cost of treating a 240 pound Mastiff with anti-fungal medications is outrageous, but the tips I am about to share with you enabled me to save BIG TIME! This shocking disparity was the impetus for assembling the following 5 tips for saving money on pet medications. Prescription drug prices vary widely from pharmacy to pharmacy so shopping around is critical. 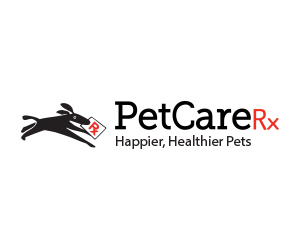 GoodRx for Pets is a free site that “collects prescription drug prices, coupons and discounts at more than 60,000 pharmacies and shows you how to save up to 80% on your prescriptions.” As an added benefit, you can download their mobile app and have the ability to check prices of your pet medications at the click of a button on your phone. Another tip when your dog is prescribed a medication is to ask for a less expensive, human equivalent or a compounded version for that medication. Often, these human equivalents will be significantly cheaper, but no less effective. Shopping around for the best price for Junior’s medication enabled me to save more than $96 for the Cephalexin, $171 for his Clindamycin, $117 for his Fluconazole, and a whopping $228 for his Itraconazole. For most people, these savings are significant and absolutely worth the time invested in finding them. When asked, many veterinarians will match the prices offered in retail or online pharmacies in order to retain your business. With more people seeking ways to save money on their pet medications, many veterinarians are feeling a bit of pressure to bring their prices down to be more competitive in the marketplace. Marketplace competition benefits consumers [pet owners] by reducing complacency, fostering innovation, and, as a result, lowering prices of pet medications. Online pharmacies can be particularly valuable for dogs with chronic conditions for which medication is needed on an ongoing basis. Look for online pharmacies that have been verified by the Vet-VIPPS program. VIPPS stands for Veterinary Verified Internet Pharmacy Practice Sites and is a program run by the National Association of Boards of Pharmacy. It is an accredited list of online pharmacies who have been verified to comply with federal and state licensing requirements and quality assurances. If you choose to obtain your pet medications from a local retail pharmacy, be sure you ask about any discount programs they offer. The following are a few options for increasing your savings on pet medications. Costco Member Prescription Program (CMPP), a Costco-member-only program for those who have no prescription drug coverage through any insurance plan. Since pets are not eligible under their owner’s medical plan, essentially they are uninsured and qualify for CMPP. While I do not currently have pet insurance for Sulley and Junior, depending on your circumstances, it may be a great option for your dog. We did have insurance for Burton and Maya many years ago and between Maya’s spay and Burton’s mast cell tumor, our savings more than paid for our premiums at the time. Most pet insurance companies cover prescription medications for medically necessary diagnoses. I commented above that high medical costs are the reality for big dog parents, but I do not believe they have to be. Yes, Mastiffs will always be more expensive to own than Chihuahuas. But it does not have to be the case that medications given to prevent a surgery be more expensive than the surgery itself. While I want you to feel empowered and hopeful about the cost of pet medications, there are three key points that must not be forgotten in this discussion. First, preventative care is essential. This includes annual veterinary visits, immunizations when appropriate, a natural, species appropriate diet, and breed/age appropriate exercise, training and socialization. A foundation of optimal care and, as a result, better health will reduce future financial burden. Secondly, keep in mind the relationship you have with your veterinarian is a partnership, or should be. Have an open dialogue with your vet about the cost of your pet’s medications. Ask for price matching – then a prescription. Not the other way around. Give your vet the first right of refusal. And lastly, plan ahead for these costs BEFORE you buy your large or giant breed puppy. Do your due diligence. Have an idea of how much your new puppy will cost you in purchase price, food and healthcare for the first two years and start saving. Let’s not wait for Congress to act. We have the power to control our own financial destiny and the healthcare destiny of our pets. Please share these tips with other pet parents in your life using the share buttons below and let me know in the comments what additional savings tips you would add. 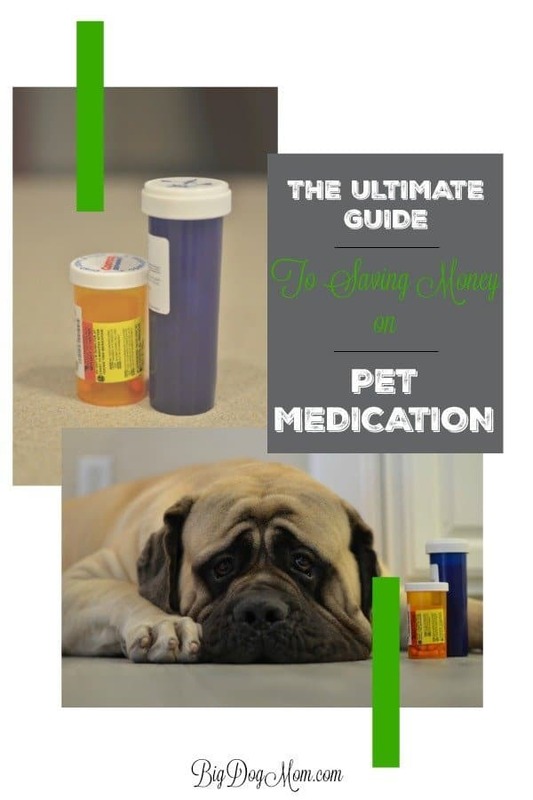 Click here to get How to Save Money on Pet Medications Cheat Sheet for FREE as a PDF download. So many great tips here! Pet medications can really be costly and having a full gang (4 cats and 1 dog) can be challenging for the budget. I have them on per insurance but some of the meds are not covered. I guess depends on the state. But had no clue about the discount programs I know those are available for humans but was not aware they are available for pets too. Thank you, Adriana! I didn’t know about the discount programs either until Junior’s first round of antibiotics. It’s a tremendous resource that I don’t think many people take advantage of. I am with you on the health insurance (just don’t tell the guy who pays to insurance six cats…) and as for medication * hides under rock * Shopping around means you can find a good buy but always do your research to ensure your pet gets the best medication you can. Here in New Zealand we have so little compared to the USA because to be allowed in as ‘medicine’ a product has to undergo tens of thousands of dollars worth of testing. I though this was hair raising until I was told how much companies of the quality of Humarian pay for top quality testing! Yes, testing is not cheap anywhere, but I feel it is necessary. While I do not want to overpay for pet medications (or human for that matter), I do want them to be safe and effective. And for that I am willing to pay. You made me chuckle with the insurance comment. I loved the insurance we had for Maya and Burton (our first mastiff and our lab), and it was totally worth the premium price. I could kick myself for not getting it for Junior and Sulley when they were puppies! I’m in a bit of a quandary. I will most definitely be asking for a prescription going forward. I’m going to have to look around to see what the rules are here in Canada. Thanks for the interesting info! I have a pup who’s on a lifetime of thyroid meds. Tried to post and it went “kerflooey” so here’s a 2nd try. I’m book marking the post, it’s so important, especially now with Bravo-Boy in the house (bull mastiff pup). Thank you! This one came through, perfect! Thank you, Amy! If you are considering pet insurance, do it now while Bravo is still young. The premiums will get higher the older he gets. Thanks for the great tips!! Red is on quite a bit of medication, some of them super crazy expensive. I order online, and even with the cost of getting the prescription written up, there’s still a huge price difference. Definitely shop around and make sure you’re buying from a legitimate online supplier. I’m so sorry about Red, but yes, definitely shop around. I picked up another round of Clindamycin for Junior yesterday. This time he got 168 pills versus the 84 last time. At Walmart the price for 84 was $206, yet Costco was $35. The price at Costco for 168 was $47! I am not sure why it wasn’t $70, but I was pleasantly surprised. I would love to know if it would have been $412 at Walmart!! Crazy! Thank you! You are lucky! I’ve used goodrx before. It made a big difference. The pill prices kept changing monthly so it was a bit of a pain to shop around. I bet that is a pain, especially considering how many options there are now with online pharmacies growing in popularity. If it were me, I would stick with the VIPPS pharmacies and compare their prices to local retail pharmacies. Maybe have 2-3 of each that you check each month. I’m sure its a pain, but my guess is you would find a significant savings for that investment in time. These are some great tips! I often get prescriptions and shop around. I’ve saved a lot of money that way. And GoodRX too. I’ll have to check out those other discount sites too. Thanks! You are one saavy dog mom, Debbie! I still can’t believe what a difference this has made in my life. I’m hoping more people will find this and know they have so many more options when it comes to paying for their pet medications. Health insurance is something I would never ever go without anymore. Wouldn’t even consider it. Not after we ended up spending $75,000 total for Jasmine’s health care. Still paying it off. $75,000! Wow! That’s unbelievable! I can completely understand your passion for pet health insurance, considering your experience. Great post! I have shopped online for drugs many times and my vet is pretty cautious. She always checks out the supplier and makes sure that they don’t sell a knockoff that is not as effective. One other tip is to shop for drugs in Canada – they are a lot cheaper, but again, do your research or have your vet do it. Thank you, Sandy! I think being cautious about online pharmacies is prudent. I personally would look for one that has been accredited by Vet-VIPPS. I’ve never thought about the ability to get my cats’ medication somewhere else besides the vet. I’m usually so concerned about the girls that I get the medication from the vet. I’ll check out the resources. Most people don’t know or think to ask about an alternative to getting their pet’s medications at the vet. Before Junior, I didn’t either. My guess is if you ask, your vet will price match. Every little savings can help. Check in weird places you wouldn’t think about too. The local pharmacy in my grocery store has a membership program and you get all your scrips for $7. I was pleasantly supervised to discover that family membership includes the furry family members! When I was going through the IBS nightmare with Shadow we used that benefit a lot! The cure was a raw diet, but I appreciated the medical benefits. Sometimes I’ve worked around the system too for smaller things. Wow, Holly, what a great find! I’m so happy you were able to find a more cost-effective solution for Shadow, and switch to a raw diet in the process! What a great post! I remember having to get amoxicillin for my cat Precious and how expensive it was, just like human prices. At the time I only knew about 1-800 Pet meds but didn’t have any other resources to get cheaper medicine discounts. Thanks for sharing your experience and suggestions. Will definitely share with other pet parents. Thank you so much, Kamira!